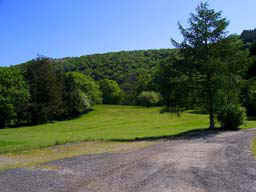 This family run guest house is situated in seven acres of private grounds on a hillside in a tranquil secluded setting. Surrounded by the spectacular scenery of the Snowdonia National Park, the property enjoys stunning views across the Vale of Glaslyn to some of the highest mountains in England and Wales, including Mount Snowdon. The area is well known for walking, climbing and mountain biking, as well as game fishing, cycling and golf, making the guest house an ideal base for touring the area. Feeling stressed? Then come and chill out with us in one of the most scenic and beautiful areas of Wales. There are numerous places to visit, including the Portmeirion fantasy village where The Prisoner series was filmed and the beautiful coastline of Cardigan Bay. 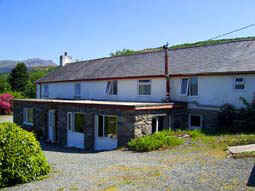 Beddgelert, with its famous faithful hound story and excellent walks, is also just down the road. The Watkin Path route to Snowdon summit is only 8 miles away. An alternative way to enjoy Snowdon is to use the famous Snowdon Railway. The area is popular for bird watchers, with the Glaslyn osprey nesting site in the valley to the front of the property and a new nest to the rear on the hill behind, the red kite feeding centres are to the south by car. Herons can be seen regularly on the estuary along with many other waterfowl and if you enjoy wildlife we have two badger sets in the woods in the guest house grounds. A few miles to the east is the largest fresh water lake in Wales, Lake Bala, a Mecca for water sports enthusiasts with sailing activities, canoeing and white-water rafting throughout the year. The Bala Lake narrow gauge railway skirts the shore offering a more leisurely view of the lake. Also for the railway enthusiast we have the Blaenau Ffestiniog and the Welsh Highland narrow gauge railway lines that leave from the harbour town of Porthmadog four miles away. Porthmadog is also the starting point for the Llyn peninsula coastal path taking in the spectacular headland castle at Criccieth. Our eight comfortable, quality, ensuite rooms are all on one level and accessible either from inside the guest house via the stairs, or from outside at ground level for anyone with mobility problems. 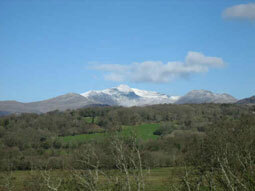 Most of our bedrooms enjoy views across to the mountains including Snowdon itself. TV, tea & coffee making facilities in all rooms. Our popular home cooked breakfast with fruit juice, cereals, toast, preserves and a choice of tea or ground coffee is served in the dining room every morning. Please note we do not accept children under the age of ten.